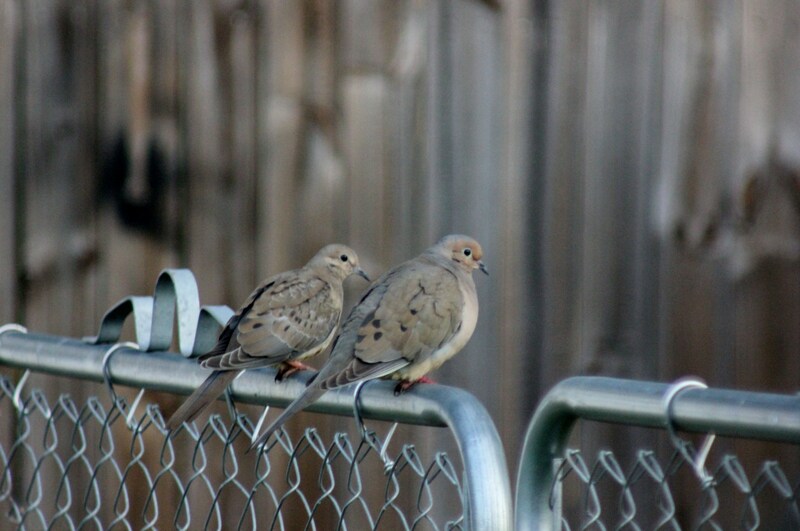 Two little Love Birds sitten on a fence…K I S S I N G! This entry was posted in Birds, Weekly Photo Challenge and tagged Birds, Chain Link Fence, Love, Morning Doves, Photo Challenge, Photography, Poetry, Romance by Mud. Bookmark the permalink. I always wonder why birds face the same way when they are sitting on a fence or wire? Probably because it’s easier to talk… Thanks for visiting! LOVE your “about” statement 🙂 and your photo!